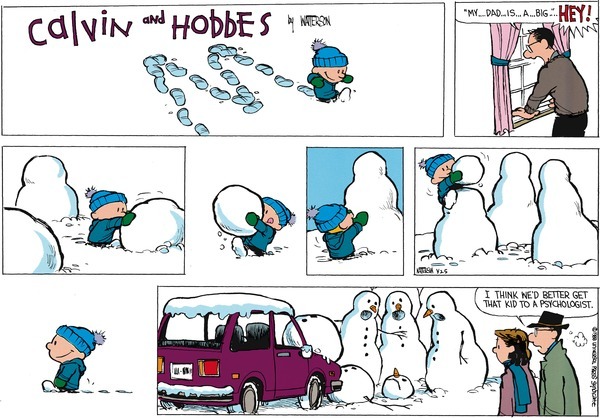 One thing Calvin loved to do was create twisted snowman sculptures. Calvin and Hobbes is a daily comic strip created by Bill Watterson, and ran in syndication from November 18, 1985 to December 31, 1995. Although written for comedic value, many segments touched on social issues. The comic strip has been the subject of scholarly articles, and is still popular today. The story followed the antics of six year old mischievous Calvin, and his stuffed tiger Hobbes. From Calvin’s point of view, Hobbes was an anthropomorphic tiger with his own independent attitude and ideas. Depending on the perspective shift to another character, Hobbes would appear in the panel as a stuffed toy, which invited the reader to decide which reality was true. 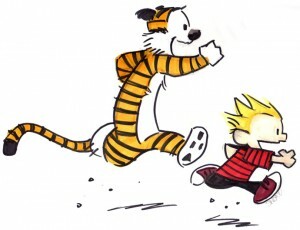 Calvin had many adventures with Hobbes, who acted like a voice of reason (usually packed with sarcasm) to Calvin, warning him of his trouble causing activities. 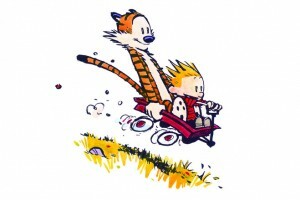 Hobbes seldom interfered though, and usually sat back and enjoyed the thrills. One thing Calvin loved to do was create dark and twisted snowmen sculptures, especially when his parents asked him to shovel the driveway. 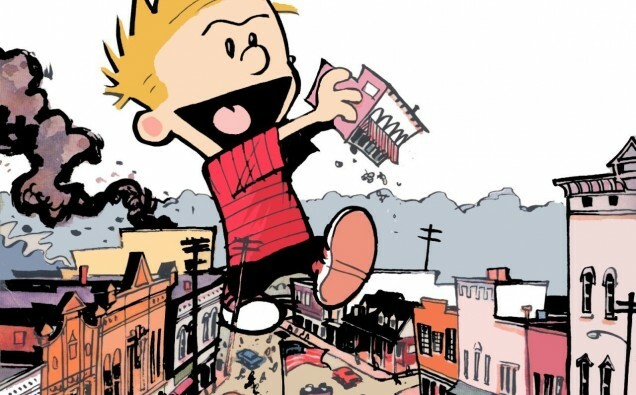 There are eighteen books available filled with collections of the Calvin and Hobbes comic series, and I recommend them all. They are hilarious, and remind you how powerful the imagination really is. You can follow me on Twitter @BloodShedMyers, and you can see my Facebook page by clicking here. Thanks for the stroll down Memory Lane! 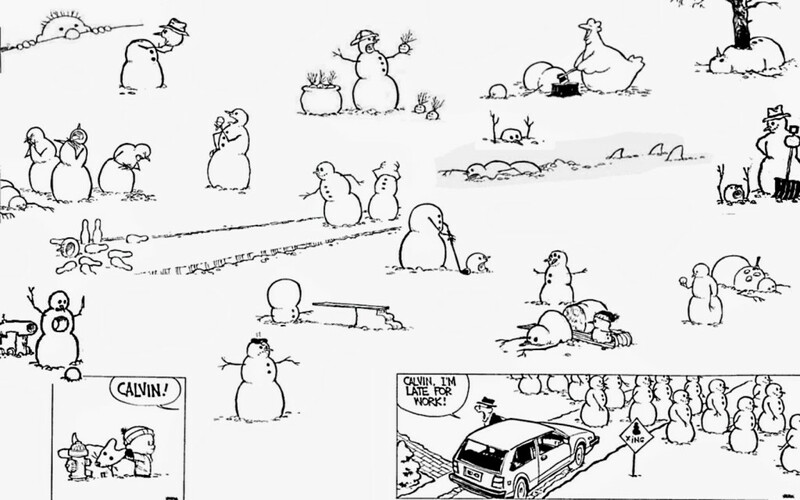 Oh wow, I LOVED Calvin’s snowmen! Maybe I’ll recreate one with all the snow were getting this weekend.